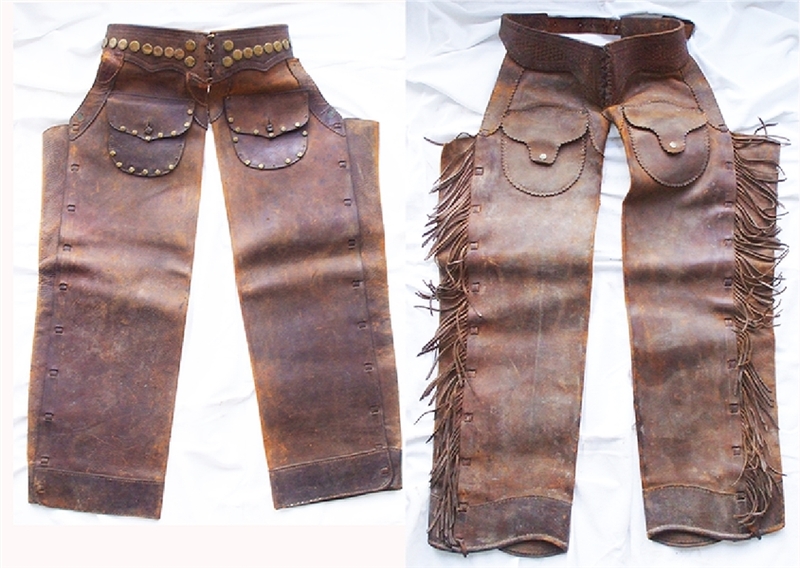 A Pair Of Western Leather Chaps to include; Well worn pair, 39” waste to foot, 38” waste, with a tooled belt, fringed legs, and two front snap pockets, VG. ... plus, A more simple and smaller pair, 36” waste to foot, 34” waste, belt decorated with 12 copper discs, two front snap pockets, VG. ND., likely 1920.